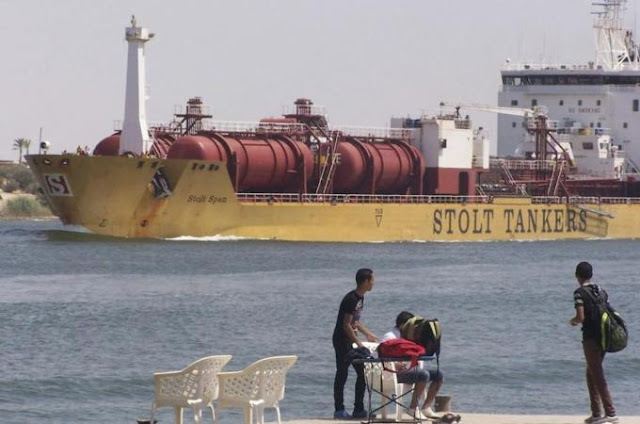 Suez Canal authorities have said that a "terrorist" staged an unsuccessful attack on a container ship passing through the canal in an attempt to disrupt the flow of ships through the waterway. The Suez Canal is a key global shipping line which is secured by the armed forces. "Mohab Memish, Head of Suez Canal Authority"
"One of the terrorist elements has carried out a failed attempt to affect the movement of ships in the Suez Canal by targeting one of the passing ships, Cosco Asia," the head of the Suez Canal Authority Mohab Memish said in a statement on Saturday, referring to the Panama-flagged ship. "The attempt failed completely and there was no damage to the ship or the containers it carried. The situation was dealt with strictly by the armed forces," he said, adding that the traffic of ships is moving normally. The statement did not specify what kind of attack it was but shipping sources told the Reuters news agency they heard the sound of two explosions as the ship passed through the waterway. Blocking the canal would have an immediate effect, especially on exports from Asian factories to markets in Europe and the United States. Egypt has faced a string of attacks in the North Sinai region after the army, prompted by mass protests, overthrew President Mohamed Morsi on July 3. More than 1,000 people, including 100 security officers, have died in protests demanding the reinstatement of Morsi. It was not immediately clear whether the attempted attack was related to the ousting of Morsi. US warship the San Antonio passed through the waterway on Thursday to join other ships in the Mediterranean that could be used in any strike against Syria after a suspected chemical weapons attack. The armed forces have issued an order to strengthen their security measures along the Suez waterway, Memish said.